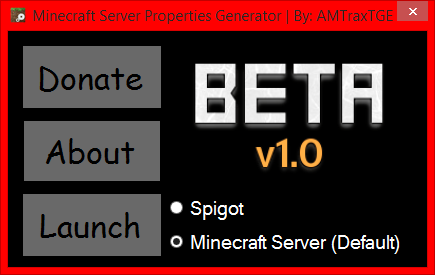 - Full Vanilla and Spigot Server Support. 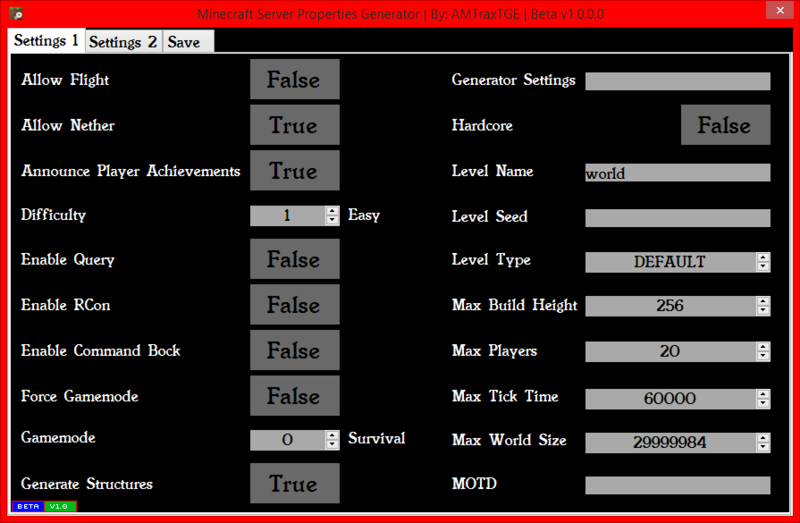 - All Settings in settings.properties file are configurable. - Tool Tips explaining what each setting does. This is my first program release ever! Did some analysis on the file and everything looks fine (no malware/malicious code). It does have a dependency on .Net framework 4.0 (which shouldn't be a problem on modern machines though). Note that at startup it does contact an external site (and attempts to read an xml file) as part of an auto update feature, it doesn't automatically run any programs/updates though, it merely notifies you what the latest version is. Yes I have been trying to write my own update code. Which I belive a will have to update the program sorry and add the like when an update is available. My thoughts on this was for the user to download the exe version, and then delete the old version themselves. 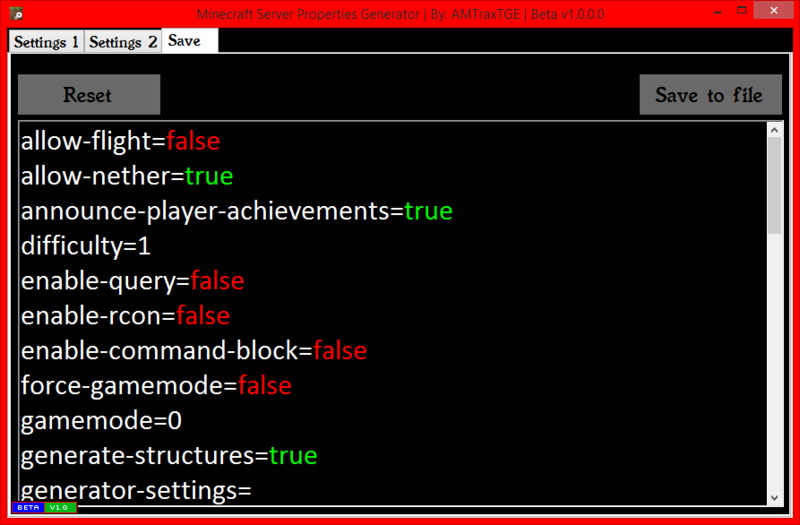 Although, I was only making this code for a few updates nothing prolong in the future. What do you need me to add?